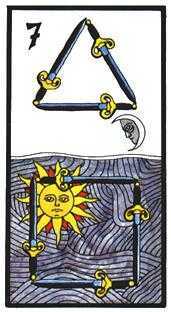 You have trained yourself to instinctively notice the opportunity. 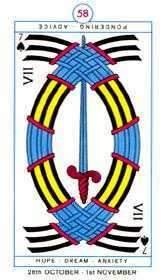 The Seven of this suit typically refers to mental preparedness, acquired through the use of imagination, including the rehearsing and visualizing of desired results. 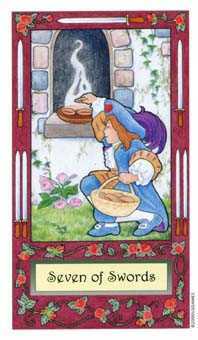 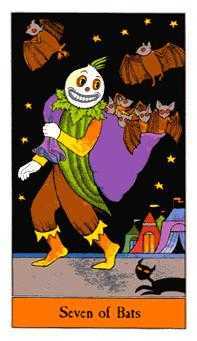 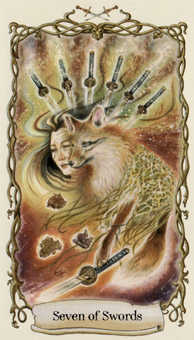 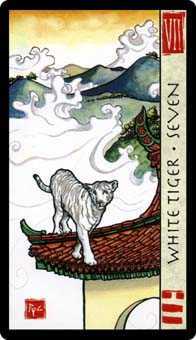 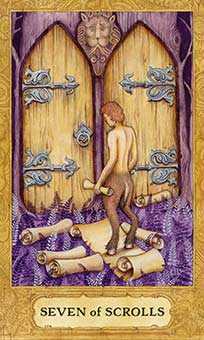 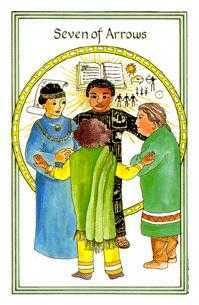 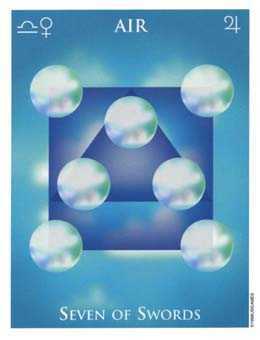 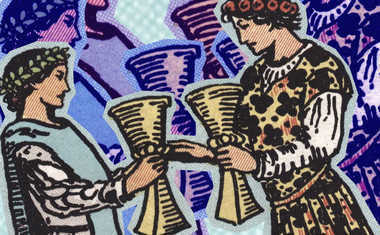 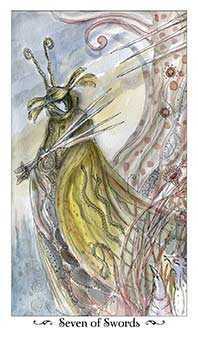 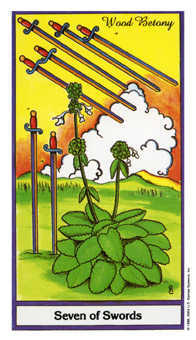 This card represents the positive mental habits of a natural winner. 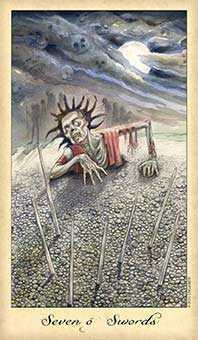 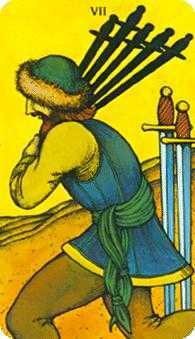 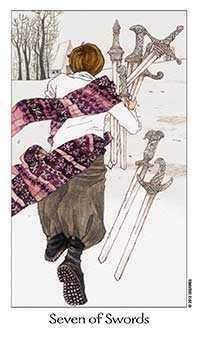 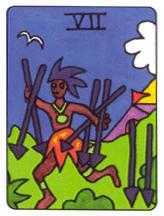 The image most often associated with this card is that of a canny warrior who has infiltrated into the enemy camp on the eve of a fateful battle, checking out their preparations and stealing their swords. 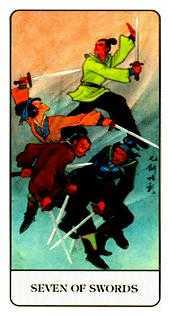 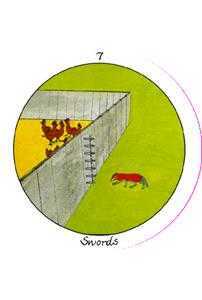 Such a move is guaranteed to demoralize the enemy and undermine their performance in the upcoming confrontation. 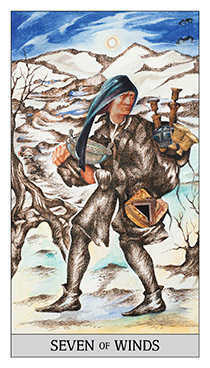 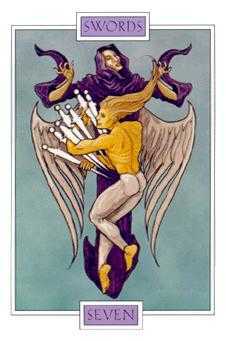 Putting it in modern terms, one who draws this card needs to work smarter, not harder. 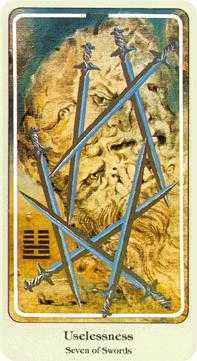 Think long and deep, study all the angles and put yourself in the shoes of your competition. 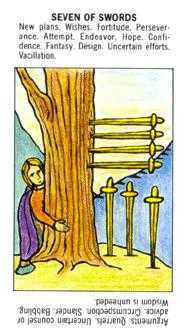 As a result, you will have such a thorough grasp of the whole situation that there will be no surprises -- and no excuses for anything but success. 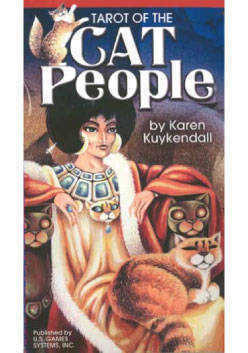 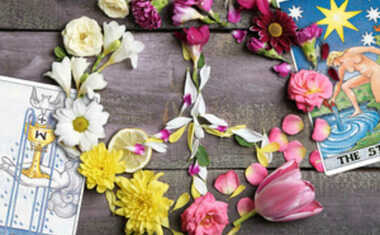 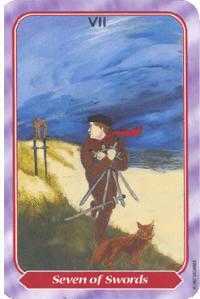 Skillful preparation justifies the optimism of the natural winner. 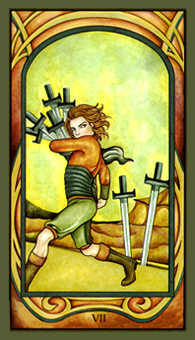 Discipline yourself to stay focused on the desired outcome and you will make your way past all competing circumstances. 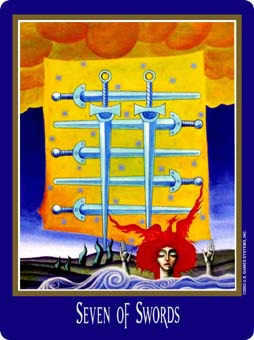 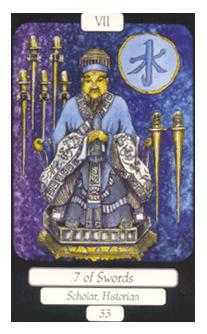 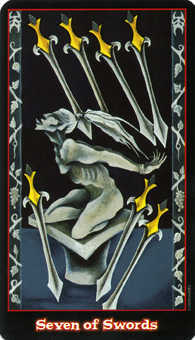 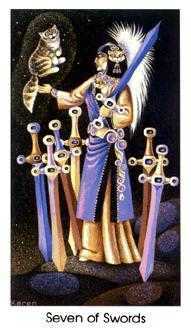 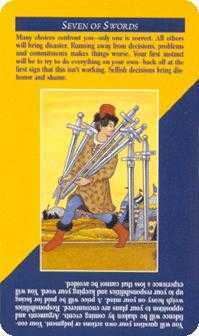 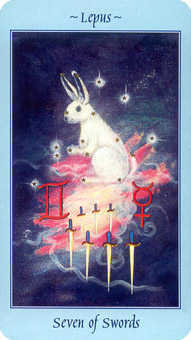 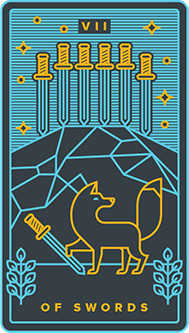 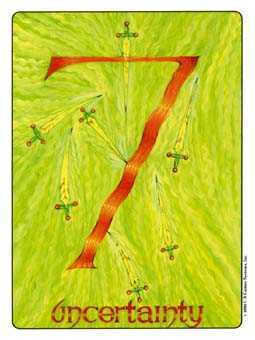 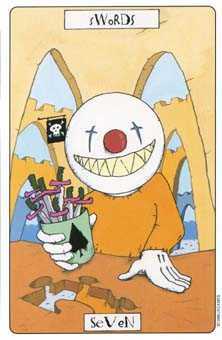 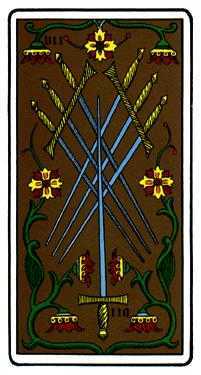 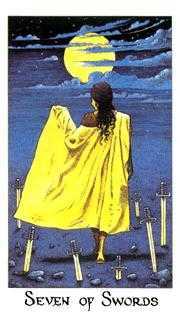 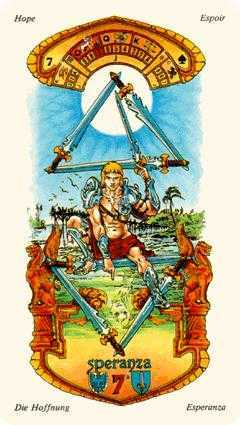 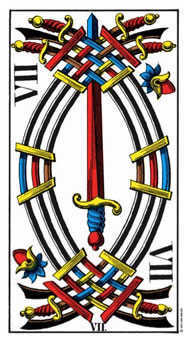 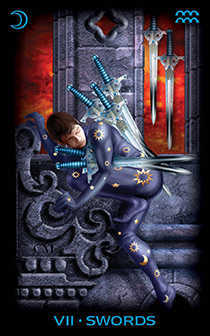 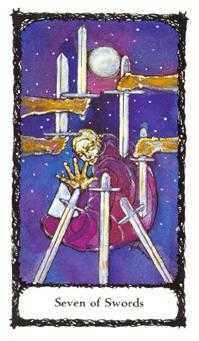 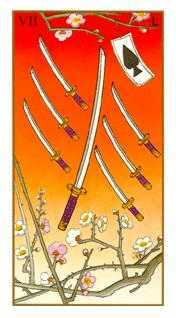 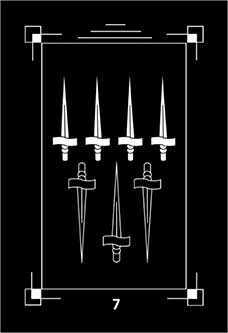 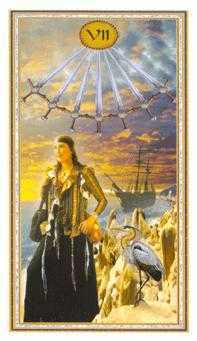 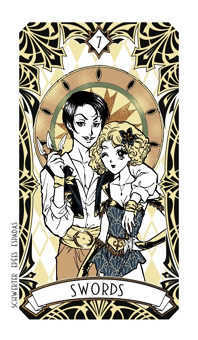 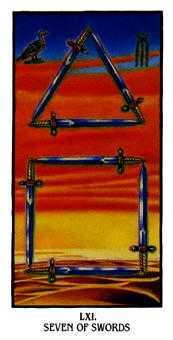 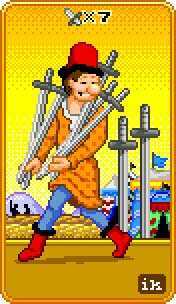 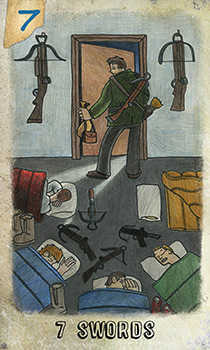 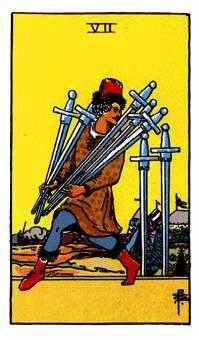 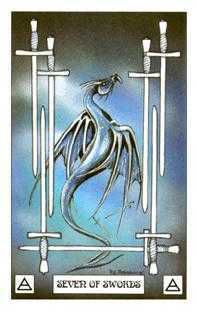 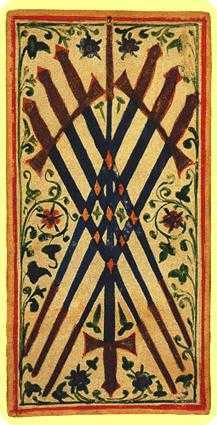 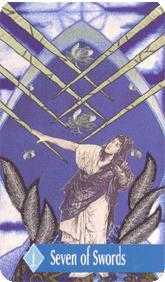 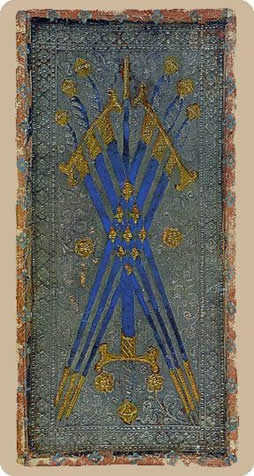 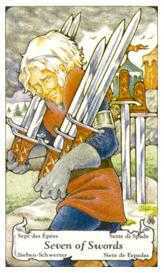 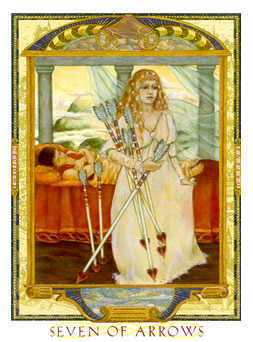 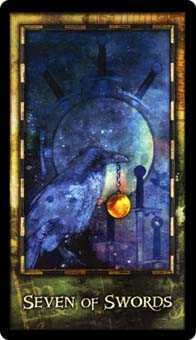 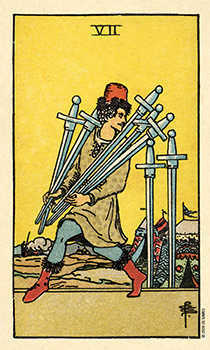 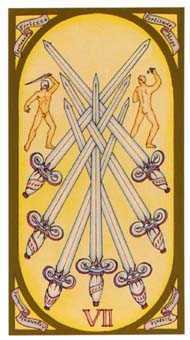 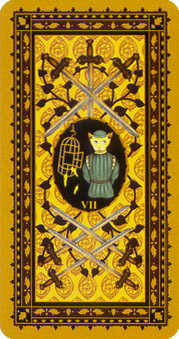 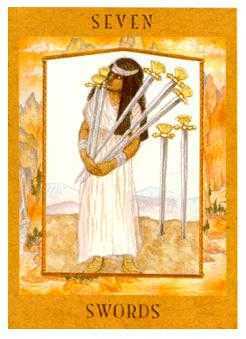 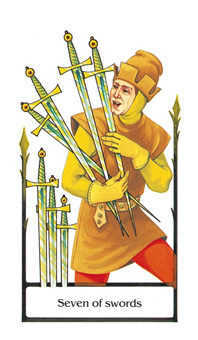 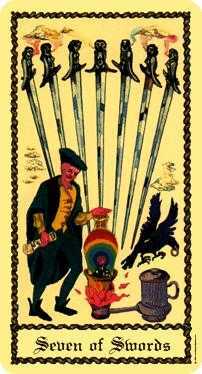 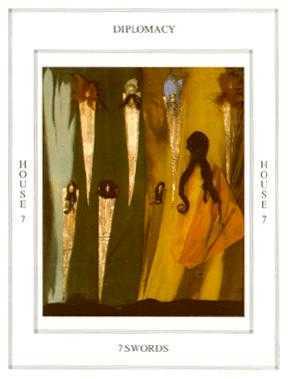 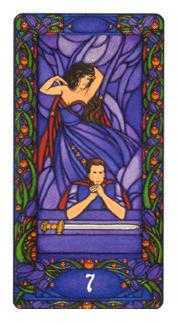 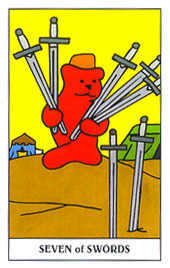 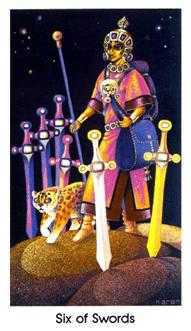 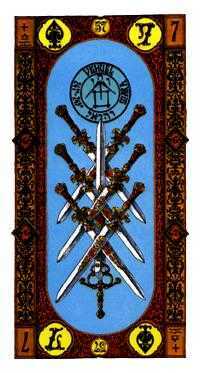 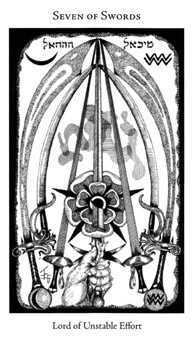 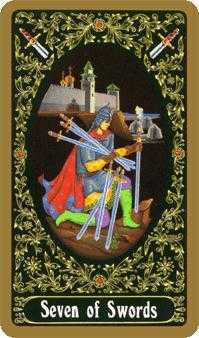 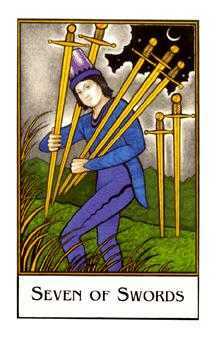 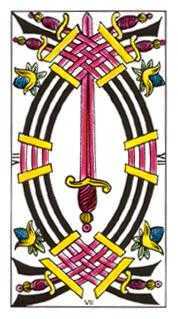 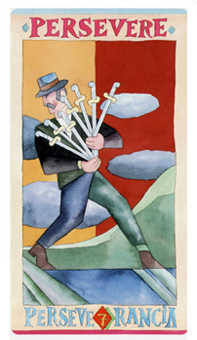 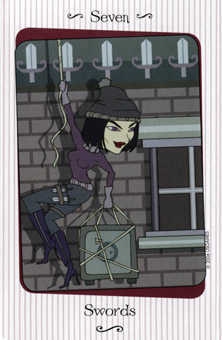 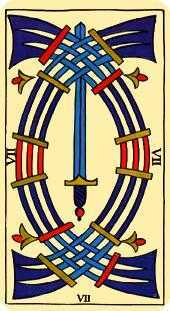 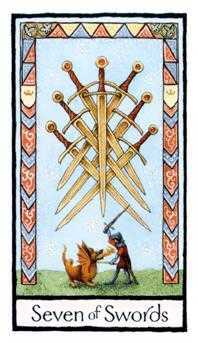 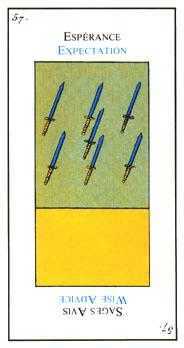 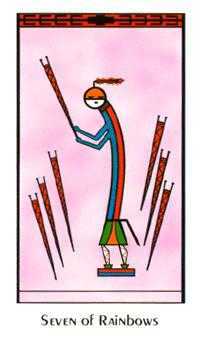 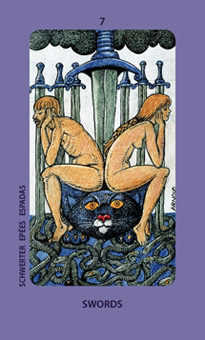 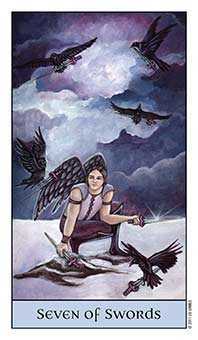 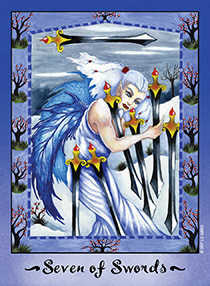 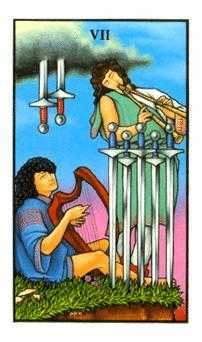 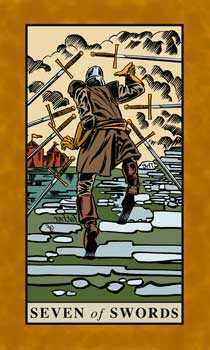 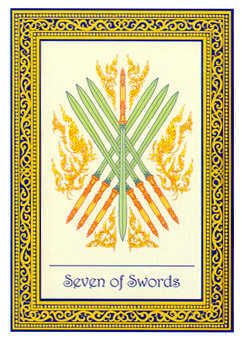 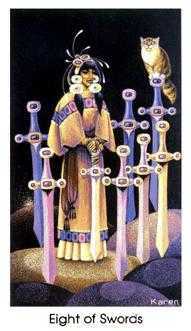 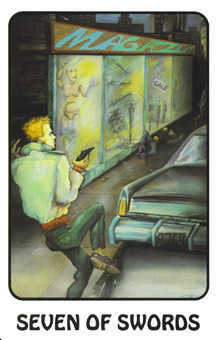 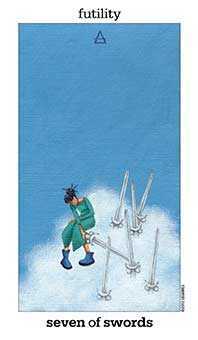 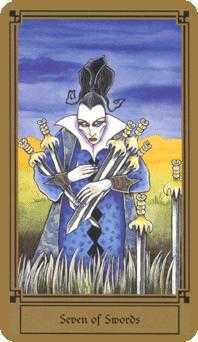 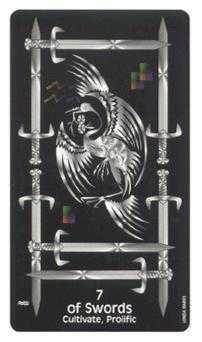 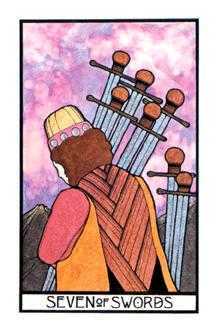 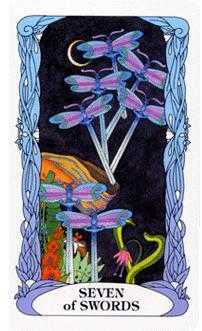 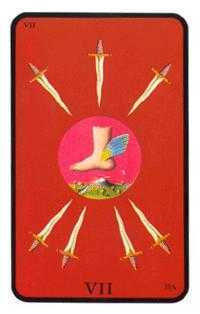 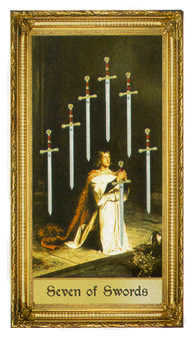 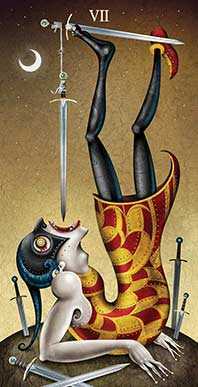 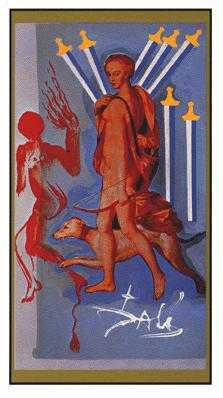 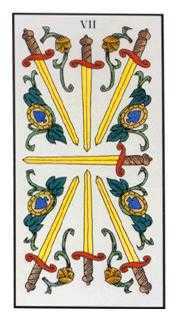 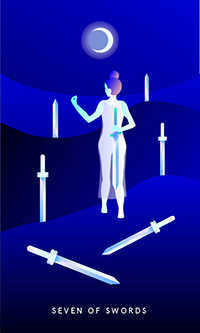 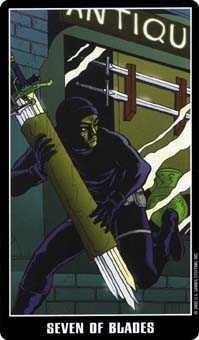 The Seven of Swords in this position suggests that deep within you already know exactly what has to happen. 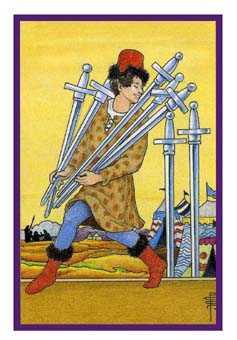 You know what steps to take and what order to take them in to bring about a desirable outcome in this situation. 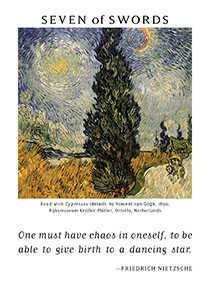 You may have enough of an overview to see how to advance through the maze and achieve your goal. 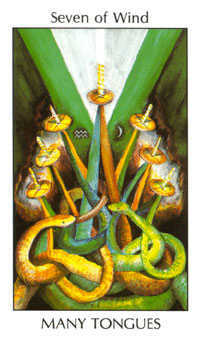 Continue to envision unobstructed success. 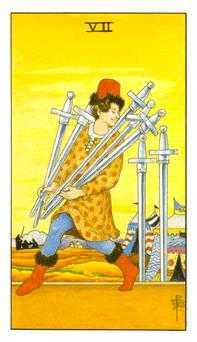 Even as the path you are walking changes and the circumstances around you obscure your view, keep the desired outcome clear and sharp in your mind. 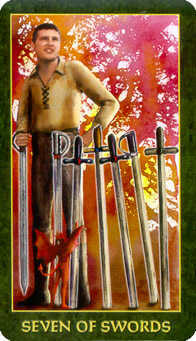 You will quite likely reach your goal and gain tremendous self esteem in the process.